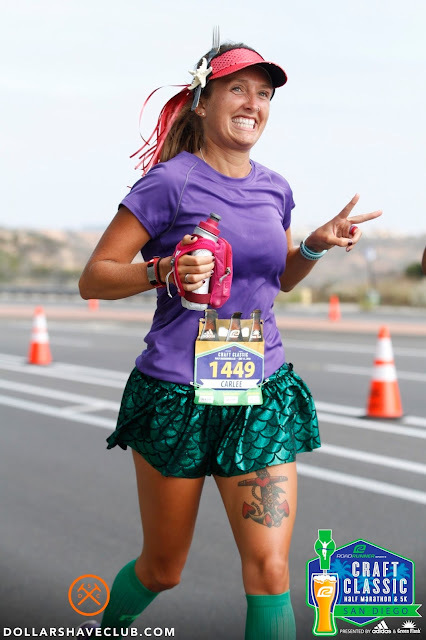 I'm not sure if you saw my post from yesterday with my Road Runner Sports Craft Classic Half Marathon Race Recap, but if you did you probably noticed my Little Mermaid costume. The race was NOT a costume run, but I never pass on an opportunity to dress up. 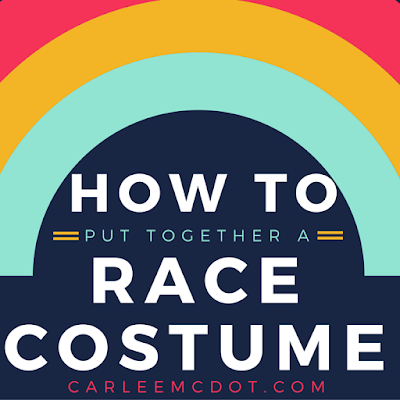 I've been told a couple times in the past that my outfits are awesome (I wouldn't go that far, but I have been stoked with how the majority of my costumes have turned out... especially with my frugal-ness and lack of sewing ability) so I thought I'd do a quick post on how I get together a race costume. First and foremost, one does NOT need a costume to dress up! I try to do my best to use pieces that I already have and just go with the proper color scheme. Unless the race is a 5K I want to do my darnedest to make sure I can still run in the gear (sure, I may not be running for a PR, but I don't want to get to the finish line with major chafing from fake limbs or bruises from a box that continually is hitting me in the knees). To begin a costume I normally find a picture of the character and then find running gear I own in that color scheme. Next, accessories can MAKE a costume. 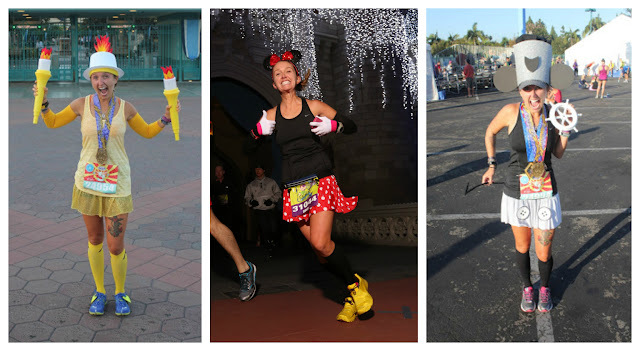 Like I just said, most of my costumes tend not to be legit costumes but running gear in a character's color scheme. Since I normally don't go all out on the clothes, I will try to add one or two accessories that really fit the character (for example, when I ran as Aunt Beru for the Star Wars Half I carried a kettle for blue milk or when I ran as Thor for the Avengers Half I had a 'hammer'). Third, when you find what works STICK WITH IT! I will be the first to admit that my running gear is very standard. If you look at my #FlatCarlee pictures you will pretty much always see the same products. 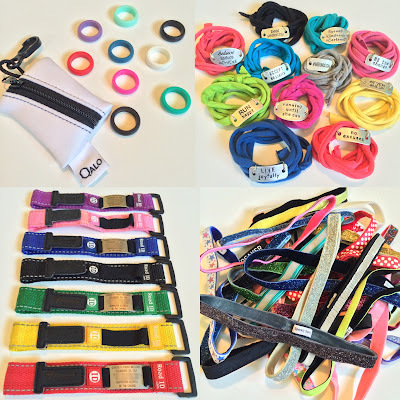 Most of my race outfits will consist of PRO Compression socks, a Sparkle Athletic skirt, a Handful sports bra, a Momentum wrap, my Garmin GPS watch, Brooks running shoes, Shwings, a Sparkly Soul headband, my QALO wedding bands, a RoadID bracelet, etc. costume/ character I decide on I have a base that will work with any of them. 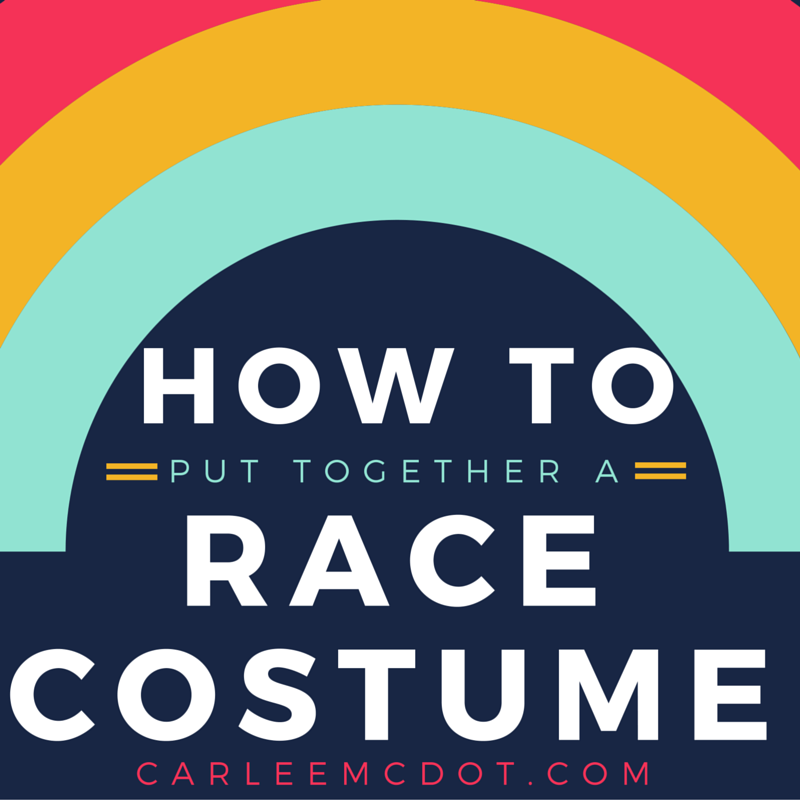 PS I think that one of the most important parts of a race costume is that you are having fun! It really isn't a bit deal if your socks are the wrong color blue or you don't have a sewing machine - make what you have work and have a BLAST! Running in a costume helps to remind me to take life a little less seriously. Are there any tips that you think I may have missed? 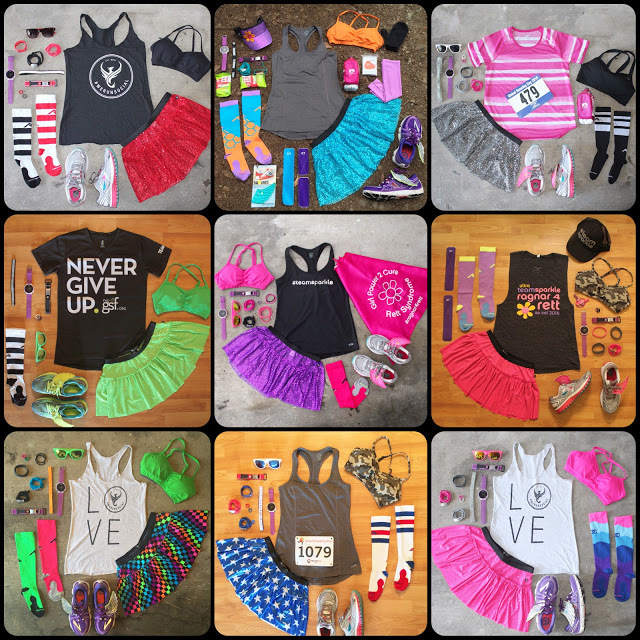 I'm amazed at how talented you are at putting your #FlatRunner together! Bravo! I'm trying to figure out what I'm going to wear for the Great Pumpkin Run in October. My mind is blank but I want a costume. My son is starting high school and no longer will be trick-or-treating so I won't get to dress up anymore.